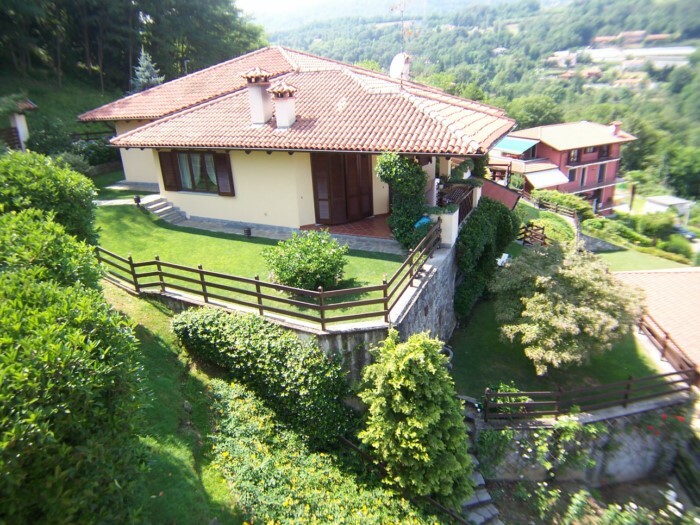 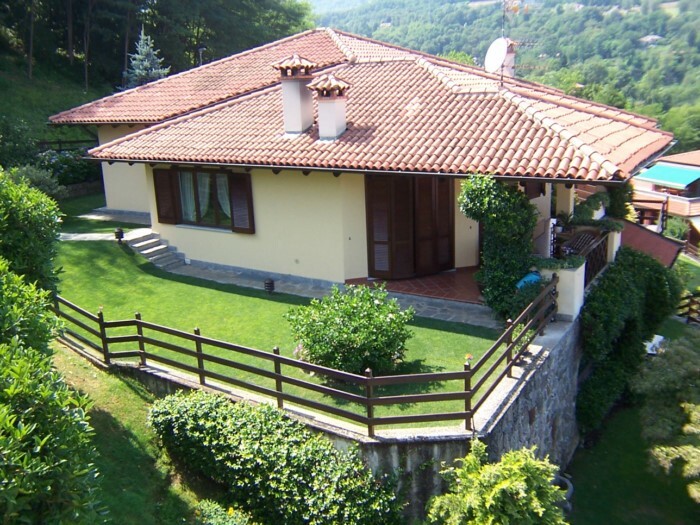 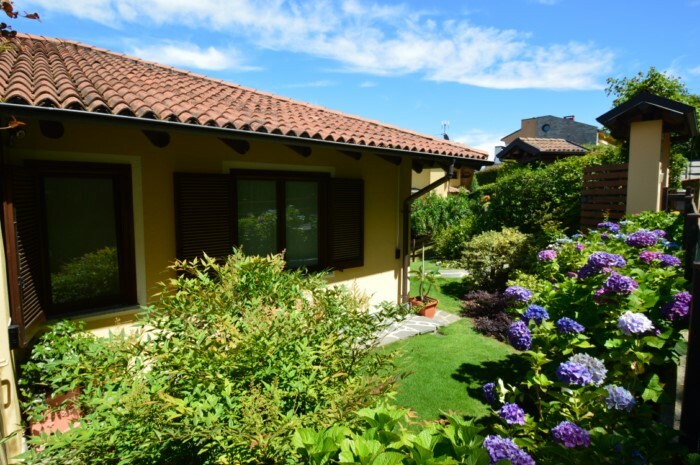 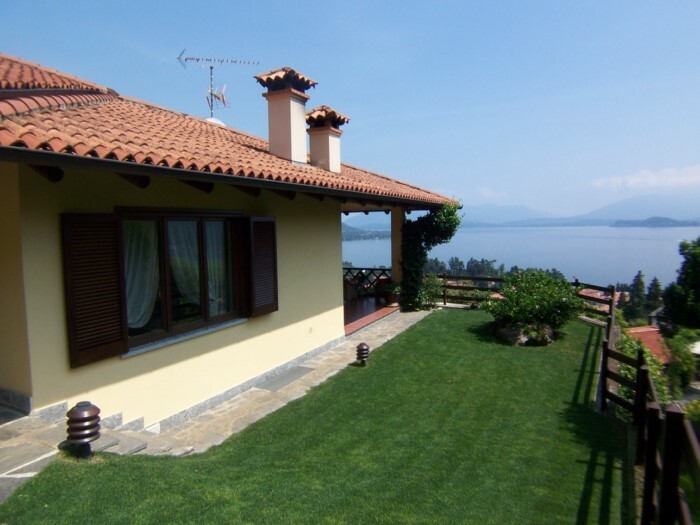 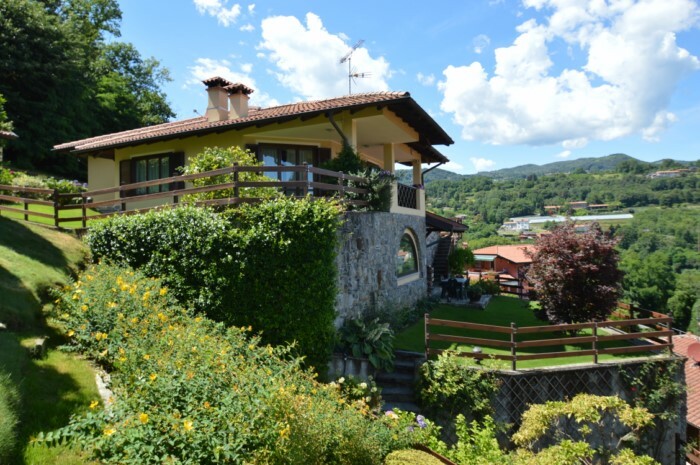 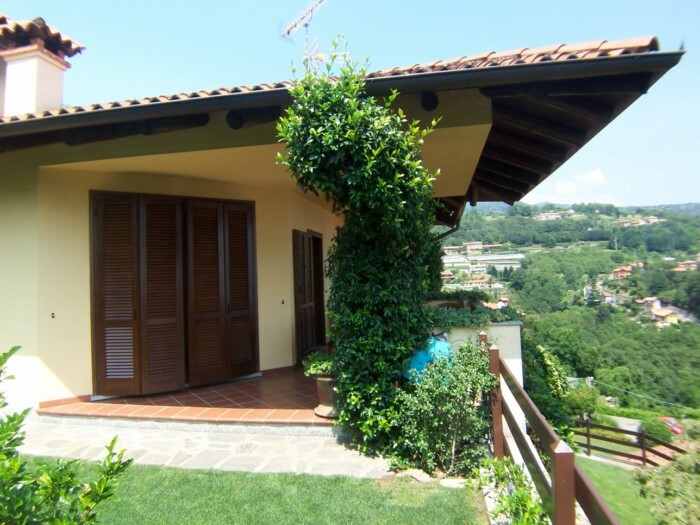 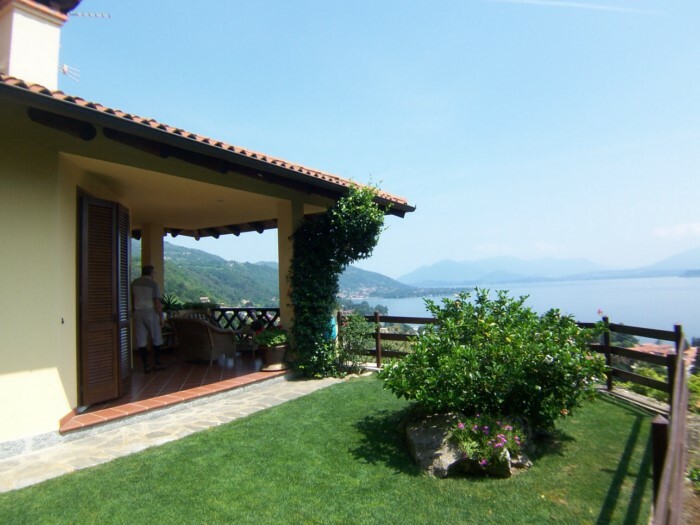 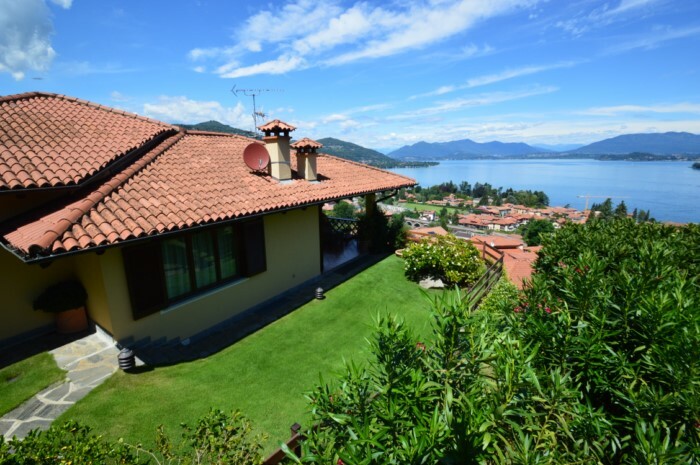 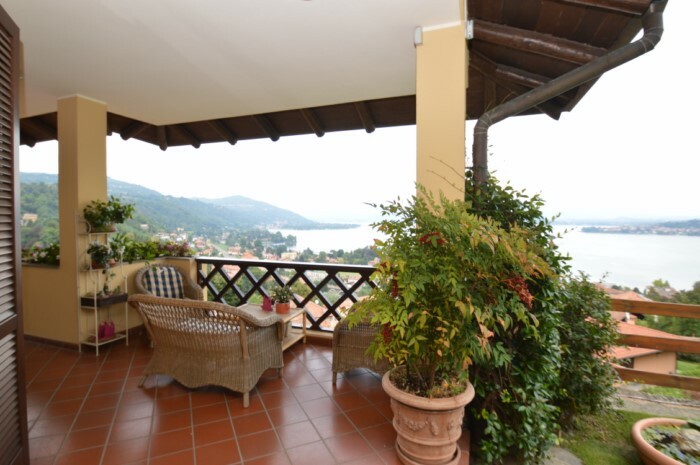 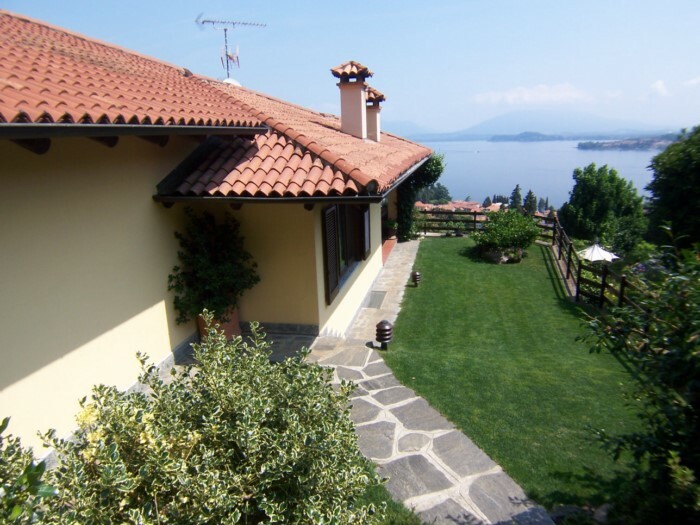 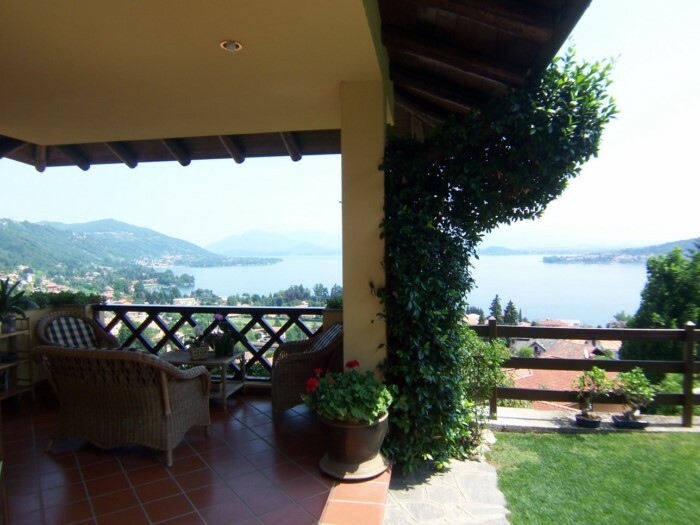 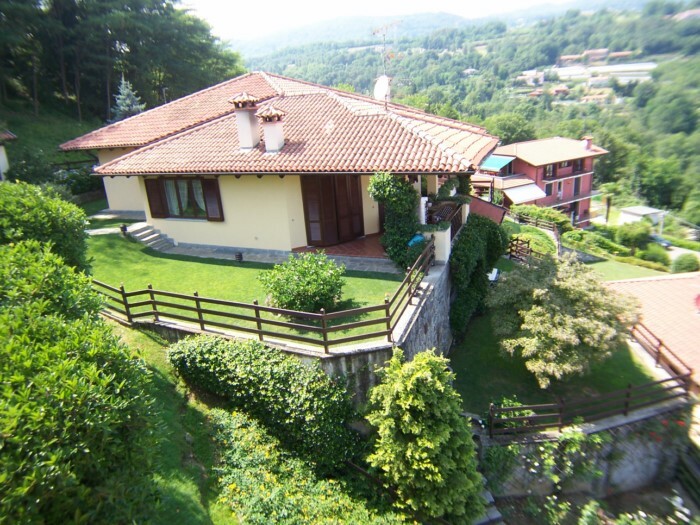 Detached villa set in a well-kept garden of over 650 square meters with a panoramic and priceless view of the lake. 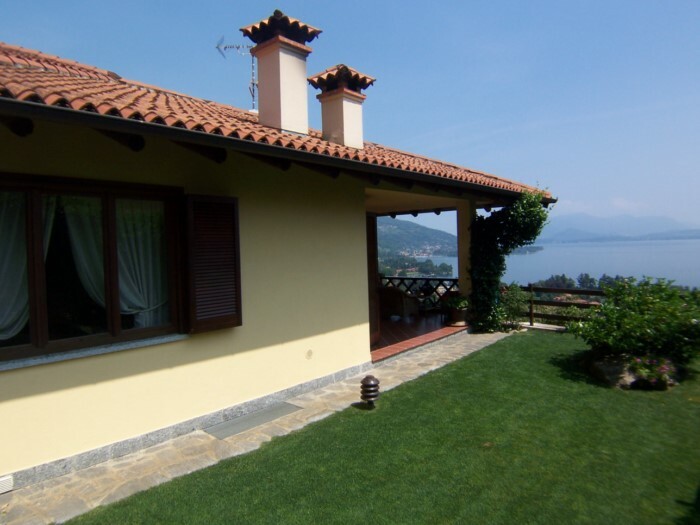 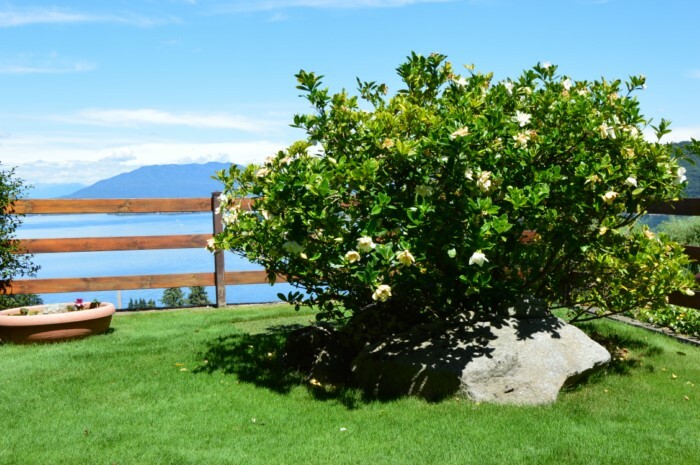 The property is situated in a prestigious residential area just a few minutes' walk from the center of Meina and the lake. 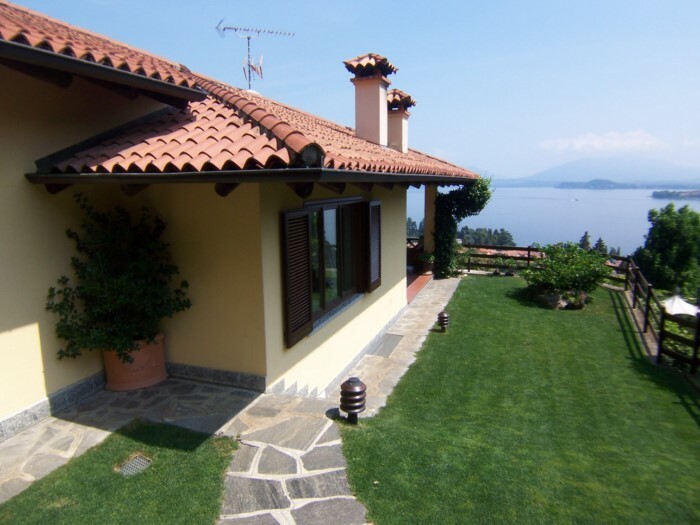 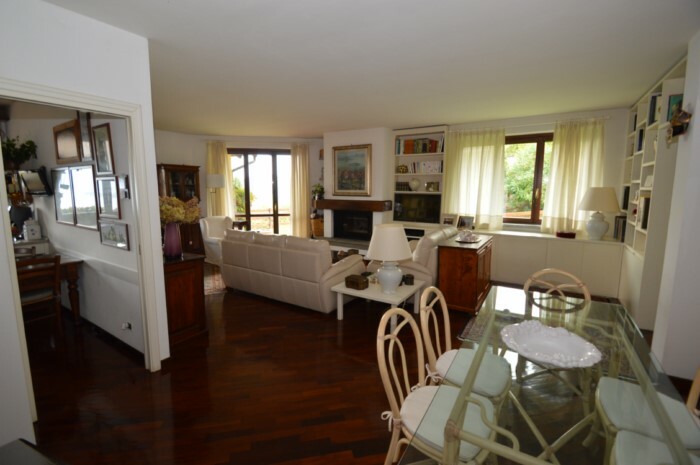 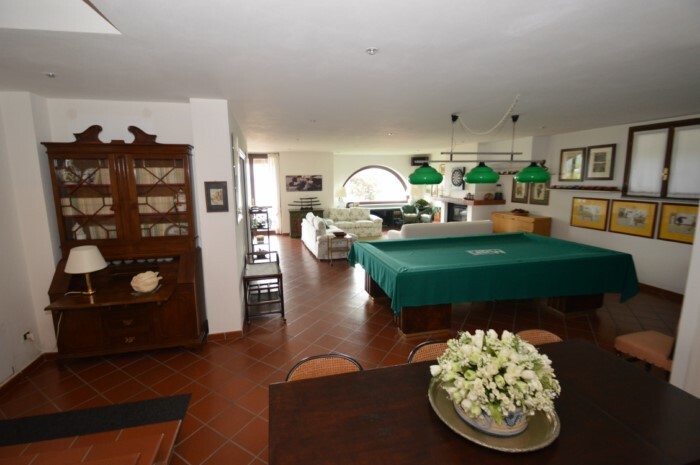 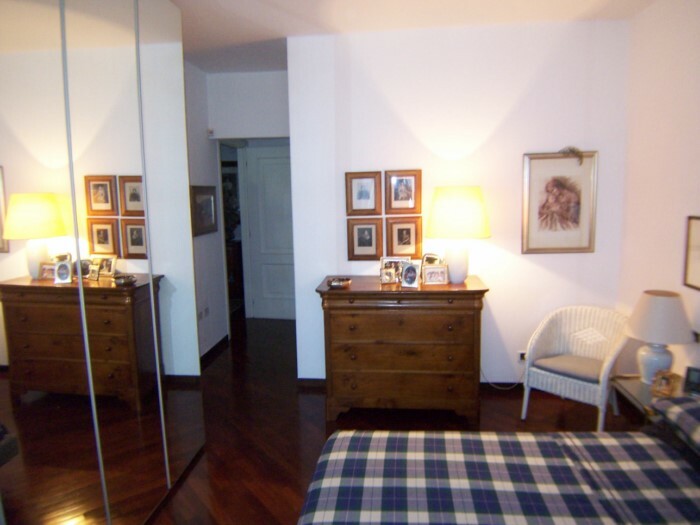 The villa, built in 1996 and perfectly maintained, measures a total of approx. 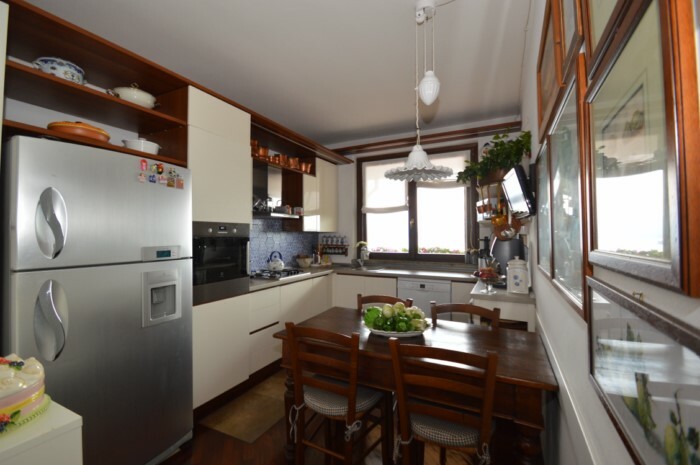 300 square meters. 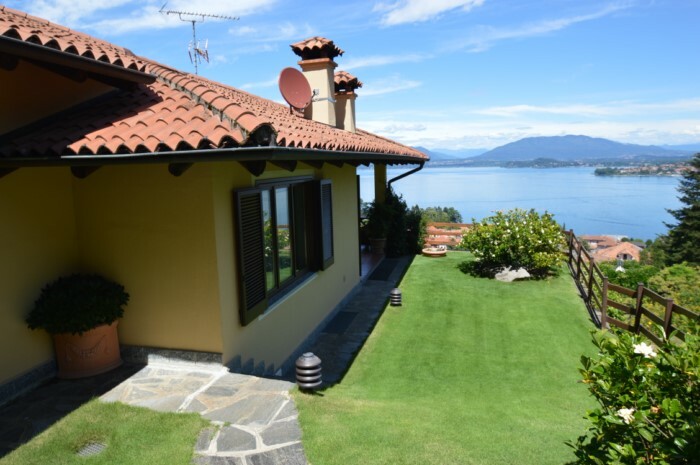 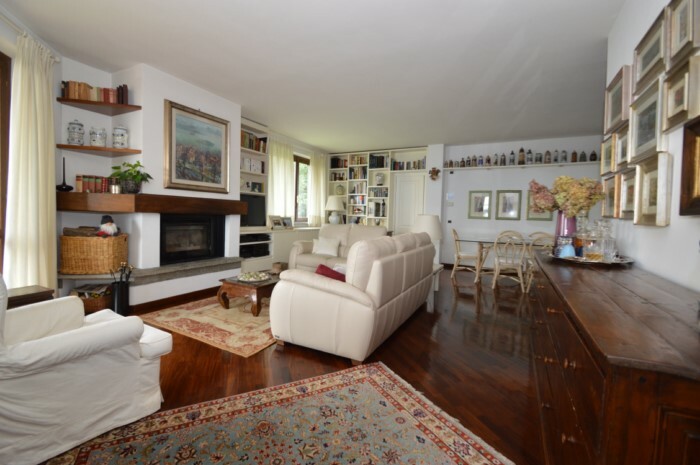 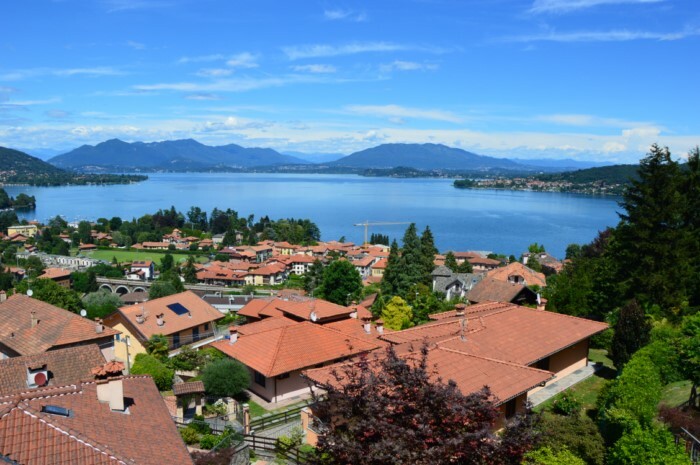 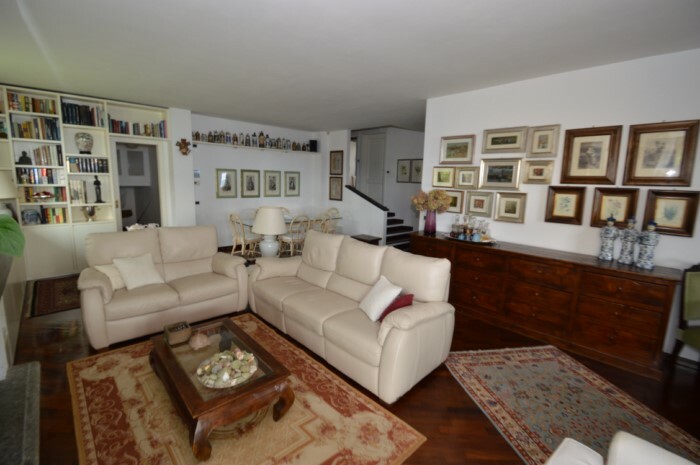 Arranged on two levels and consisting of a living room with fireplace overlooking a porch of about 23 sqm., with stunning views of the lake, kitchen, master bedroom with en-suite, two further bedrooms and a bathroom. 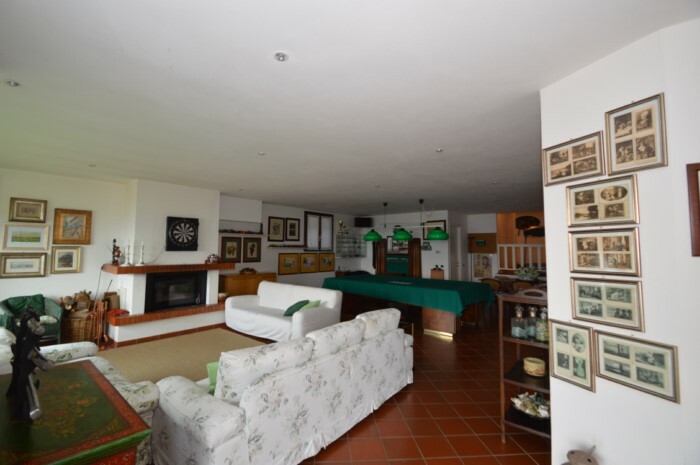 On the lower ground floor with windows overlooking the lake and direct access to the garden there is a large hobby room with pool table, fireplace and a kitchenette, laundry, bathroom, cellar, storage room and boiler room. 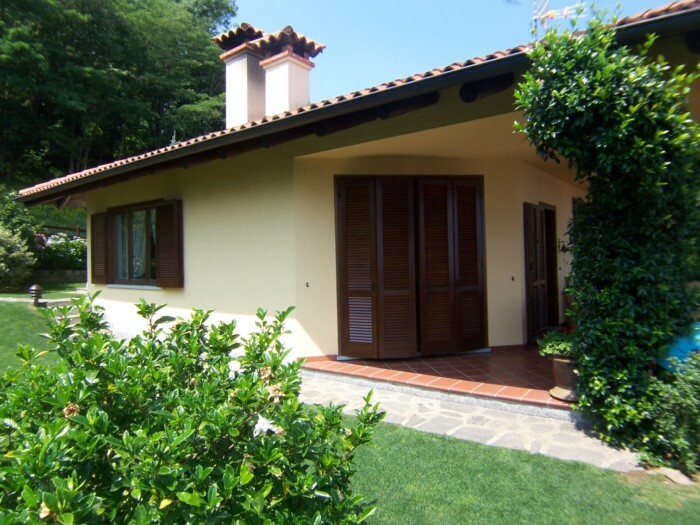 Completing the property is a garage of about 23 square meters.